I can't believe I am actually about to write this post. Tonight is the season finale of my all time favorite television show, The Office. I have been watching for years and years and literally feel like I am best friends with all the characters. The past few episodes of actually brought me to tears, I am going to miss them. Oh my gosh, I've been crying too! I'm so sad. I can't even talk about it. WOW, what a coincidence! My post today was tangentially related to the Office and I didn't even realize tonight is the season finale! Sad day! I'm so bummed the office is ending too!!! I feel like they kinda ruined some of the characters this season, though, so I'm happy it's ending at the same time. 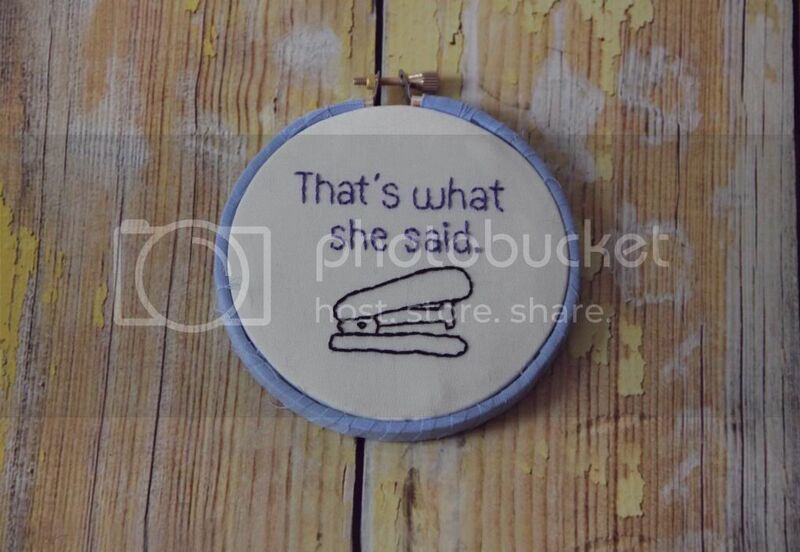 I love this hoop art! So awesome! I can't believe The Office is ending, either. It's surreal and so sad.